4K. 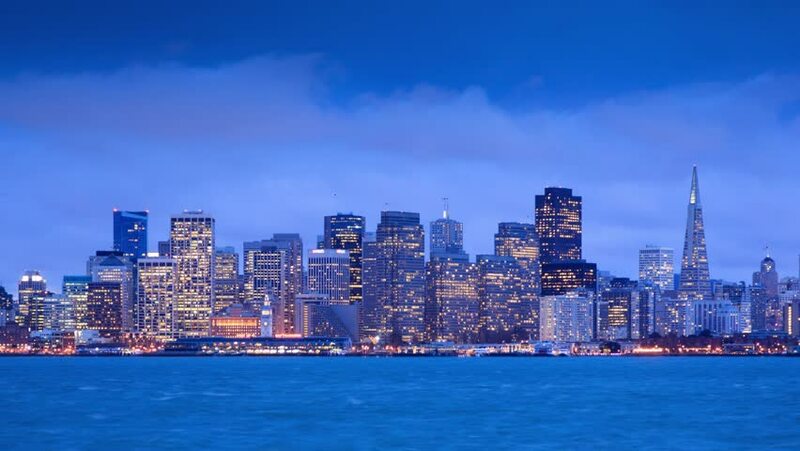 San Francisco skyline from dusk to night. View from Treasure Island. Timelapse. 4k00:11Timelapse of New York City Skyline looking at Uptown Manhattan from Queens side of East River at sunset with lights in buildings on.